Maou Golvellius (魔王ゴルベリアス, lit. 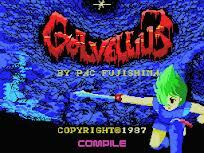 "Devil Golvellius") is an action adventure video game for the Japanese MSX home computer system. 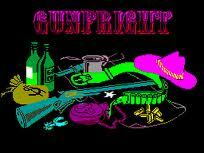 It was developed by Compile and released in 1987. 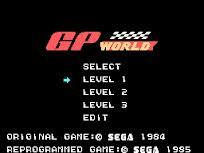 Sega licensed the franchise in 1988 and released their own remake of the game for the Sega Master System (the Mark III in Japan), featuring enhanced graphics and entirely different overworld and dungeon layouts. 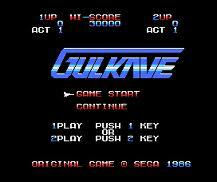 This version was released worldwide under the name Golvellius: Valley of Doom. 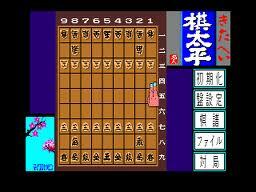 Later that year (1988), Compile released yet another remake for the MSX2 system, titled Shin Maou Golvellius (真・魔王ゴルベリアス, lit. "True Devil Golvellius"). This game featured mostly the same graphics as the ones in the Sega Master System version, but the overworld and dungeon layouts are entirely different. In 2009 it was announced by DotEmu/D4 Entreprise that Golvellius was to be re-released for the iPhone OS platform. The scenario is the same in all the three different versions of Golvellius. The ending promised a sequel, which was never developed/released. However, there is a spin-off game titled Super Cooks that came included in the 1989 release of the Disc Station Special Shoka Gou. 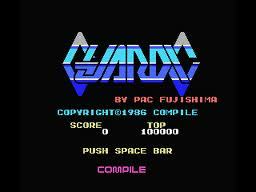 Guardic (ガーディック, Gādikku) is a shoot 'em up video game for the MSX computer. 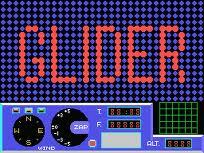 It was created and developed by Satoshi "Pac" Fujishima while working for Compile, the creators of other shoot 'em up games such as Zanac, The Guardian Legend, and Blazing Lazers. Guardic is unique in that the player can choose stages, which are connected by a maze. 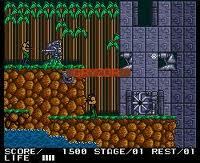 Each stage is a non-scrollable single screen and has 1 to 3 groups of different enemies. The player can "buy" ship power-ups like speed, weaponry, and special powers before each stage—a departure from the traditional scrolling-shooter power-up system. In the end of each stage, the ship could safely fly through a scrollable maze to another stage. Guardic is the second title in a MSX trilogy by Fujishima, which started with Final Justice (1985) and ended with Blaster Burn (1990). In this last installment the player commands Guardic II as its main weapon against Gose, an invasion army from outer space. 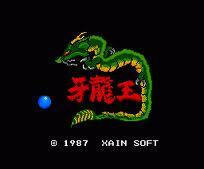 It also inspired the sequel, and cult classic NES shooter, The Guardian Legend (known as Guardic Gaiden in Japan). In August 2011 D4 Enterprise released an emulated version for iOS devices. Gundam (Japanese: ガンダム, Hepburn: Gandamu), also referred to as the Gundam Series (ガンダムシリーズ, Gandamu Shirīzu), is a science fiction media franchise created by Sunrise that feature giant robots (or "mecha") called "mobile suits", with titular mobile suits that carry the name "Gundam." The franchise started on April 7, 1979, as an anime TV series called Mobile Suit Gundam, which was revolutionary in that it defined the real robot genre of anime by featuring giant robots in a militaristic war setting. The popularity of the first TV series and the merchandising that followed spawned a franchise that has come to include works released in numerous media. 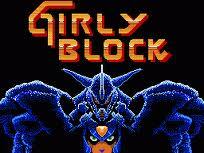 Titles have appeared in the form of multiple television series and OVAs, movies, manga, novels, and video games. 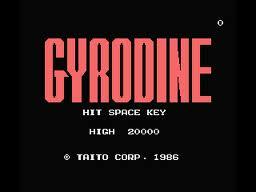 The franchise has also led to the creation of one of the biggest toy and hobby franchises in the Japanese toy industry. As of 2014, the Gundam franchise generated a total of 80 billion yen in revenues. The 2014 retail sales of Gundam toy and hobby items totaled 18.4 billion yen. In the 2008 ranking of average sales figures for anime copies sold in Japan (1970-2008 total sales figures averaged by episode,) Gundam series were in four of the top five places: Mobile Suit Gundam ranked second, with Mobile Suit Gundam SEED Destiny third, Mobile Suit Gundam SEED fourth, and Mobile Suit Zeta Gundam fifth. 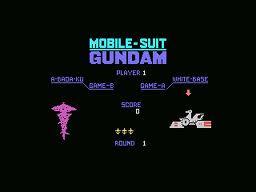 Also, Mobile Suit Gundam Wing ranked 18th and Mobile Suit Gundam ZZ ranked 20th. Gunpla (Gundam Plastic model) holds 90% of the Japan character plastic model market.